To date we've had over 8,000 applications, some great - and some not so great. So here are some tips on how to make your video application stand out from the crowd. The latest news from the reefislandjob.com website is good and bad. Good, because we've already established tha I have a better than 6500 to one chance of making the shortlist and the news that there are only 8,000 entries to date is mathematically heartening! 8,000 divided by fifty is a mere 160. Yes indeed incredible though it may seem, as it stands every entrant has a one in one hundred and sixty chance of making the cut! Now the Bad news. There's an interesting dichotomy in the note, calling for fun and innovation on the one hand, but on the other there's a bit of a hint that it's a screen test as well! I do actually appear in my video, honest I do, apart from in the closing credits that is. 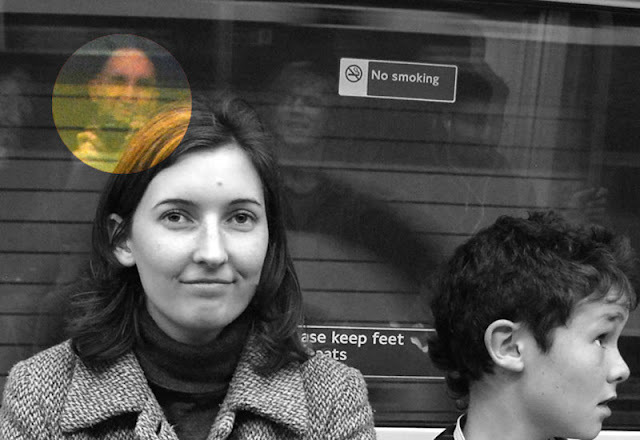 I'm there in the reflection on the Tube train in London, caught in the act of photographing the passengers opposite. Oh well! We might have to rely on the repechage round kiddies!